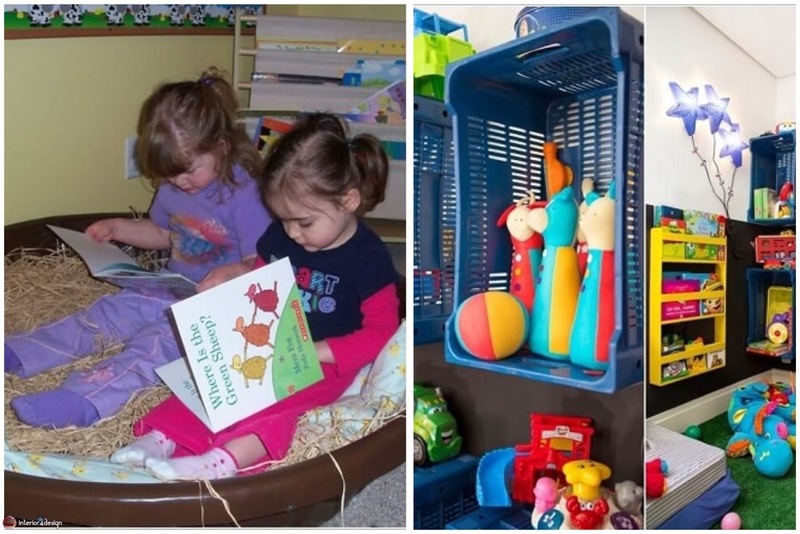 Many parents want their children to read, and try to create the right reading corner for children environment for them at home, because reading has a great impact on their lives and their future. 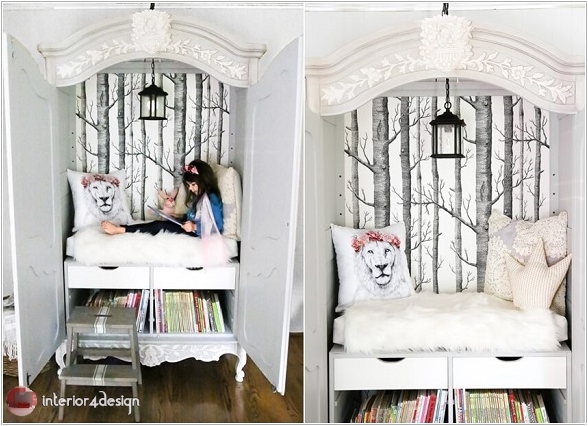 1 - Turn this old treasury into a special corner for reading to your children in an atmosphere of entertainment and fun. 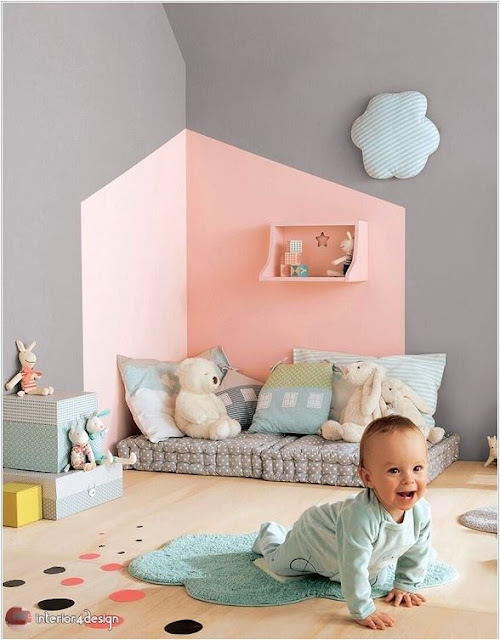 2 - Distinguish the reading angle by painting a part of the walls in a bright color with a set of pillows. 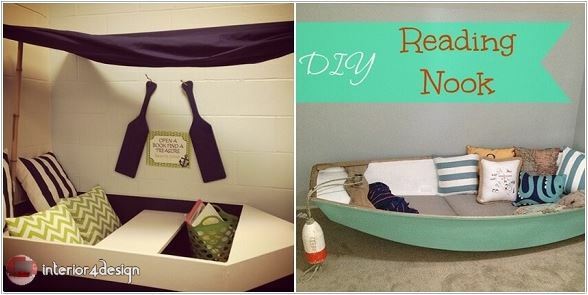 3 - Turning an old boat into a reading angle for your children in an atmosphere inspired by the world of the sea. 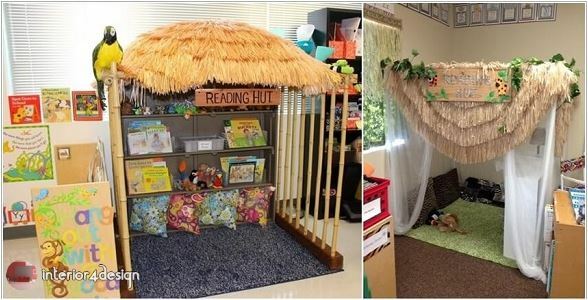 4 - Reading angle using a small tent inspired by camping trips. 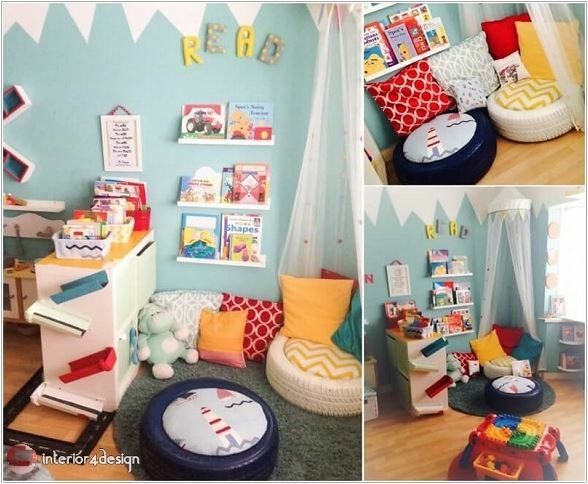 5 - The window can be surrounded by bookcases, with a small seating seat for children to read. 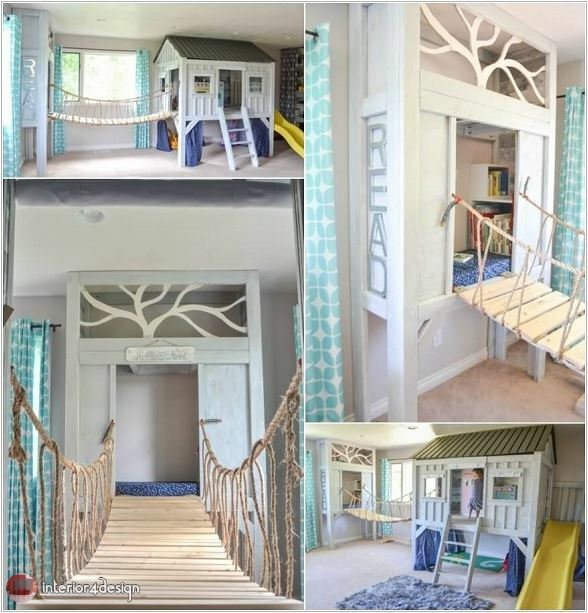 6 - reading angle for the child in the form of a small cottage with a bridge and a small bed in the children's room. 7 - about the old tires after coloring to a simple angle of reading. 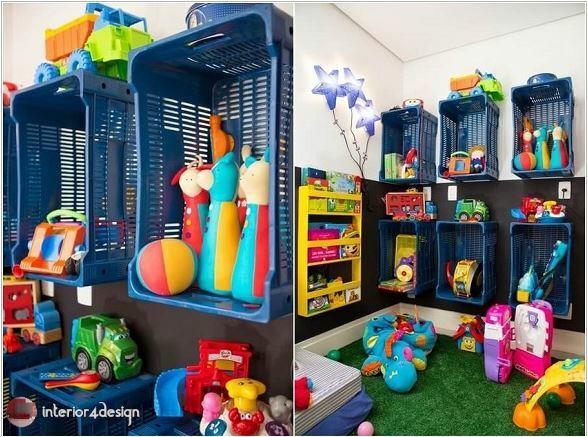 8 - A small reading corner surrounded by a collection of plastic boxes to store games and books. 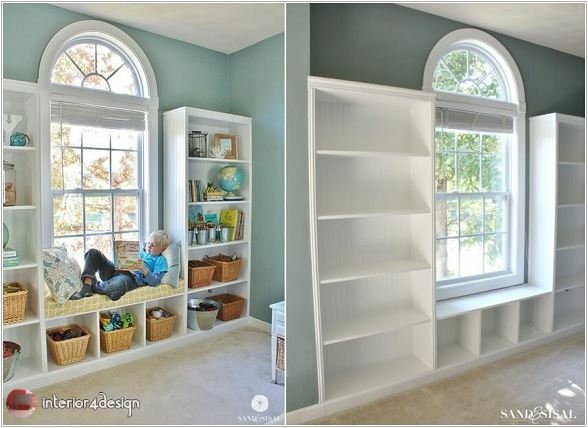 9 - A tropical reading angle with a collection of shelves for storing children's books. 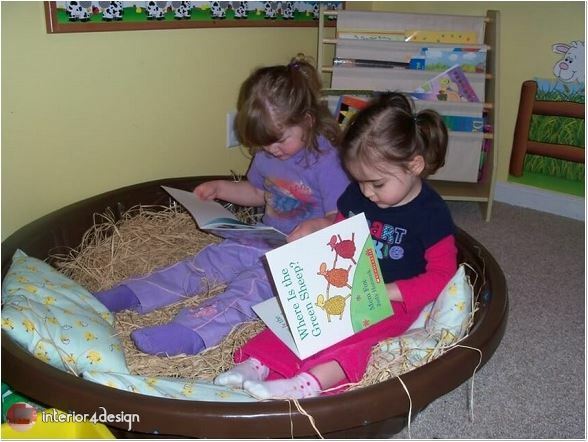 10 - Finally, an old plastic basin was used with a quantity of hay in the shape of a bird's nest as a reading corner for children.